A treatment room at the Soul 7 spa in Toronto. If you’ve ever been on a summer hike after a busy week, you’re probably familiar with the relaxing feeling that comes from being surrounded by tall trees and wildlife. Rebecca Lester, lead practitioner at Soul 7 spa in Toronto, believes that calm sensation comes from exposure to the Earth’s electromagnetic field. “When you’re walking in nature, you’re connecting to the Earth’s magnetic force. It brings the nervous system into a state of balance,” says Lester, who believes the energy from the Earth’s frequency travels into our bodies and encourages our cells to vibrate at the same rate. 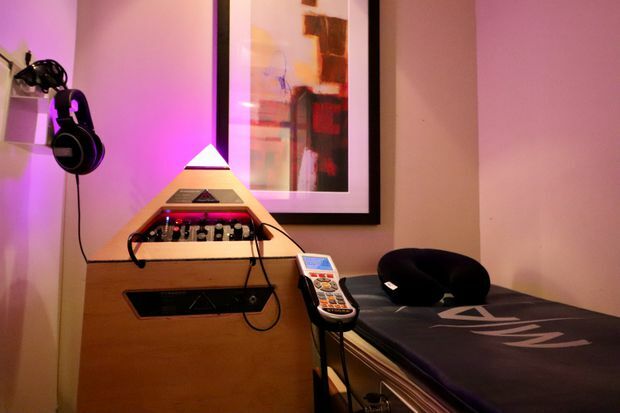 At Soul 7, treatments for sleep, stress release or energy are delivered via pulsed electromagnetic field therapy (PEMF) machines that mimic the frequency of these vibrations. PEMF techniques vary; sometimes a machine emits vibrations into the air or the bed itself vibrates while the user listens to rhythmic pulses and tones through headphones. If nothing else, the experience leaves the client feeling relaxed. Over the last decade, PEMF has been used in localized forms to treat tissue damage, such as in a knee brace that emits electromagnetic waves into the joint for pain relief. (Similar treatments have been used in Europe for 40 years.) In North America, PEMF devices have been declared safe to supply “electromagnetic energy to the body to alleviate pain associated with various disorders and to treat wounds and soft tissue injuries,” says Renelle Briand, media relations officer for Health Canada, but the technology is also being used to promote overall well-being in the form of full-body treatments, which involve an electromagnetic frequency machine placed beside a seat or bed. Dedicated “frequency spas” like Soul 7, as well as hotels and salons, are tapping into the more meditative benefits. At the Fairmont Scottsdale Princess Spa in Arizona, a Himalayan singing bowl treatment has been introduced as part of the spa’s increased focus on relaxation. In a plushly appointed room, multiple singing bowls are placed on the client’s stomach and chest, or back, and a wooden dowel is gently run around the inside of the bowls. “The vibrations work to send messages through the body and relax the nervous system,” says Taryn Mahalak, the spa’s guest services manager. 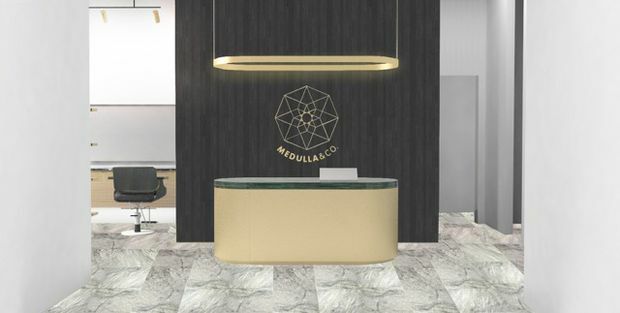 Medulla & Co. salons in Mississauga and Vancouver will play a 528 Hz frequency to help customers relax. Soon, Holt Renfrew will join in with new in-store Medulla & Co. salons in Mississauga’s Square One Shopping Centre and Vancouver’s CF Pacific Centre that will play a 528 Hz frequency while customers receive treatments. Owner Luis Pacheco has been playing this frequency in the basement of his Queen Street West salon since opening it in 2014 because he believes it helps put people in a positive frame of mind. According to Bob Berman, who founded Soul 7 four years ago, vibrations and sound have been used to promote comfort and relaxation for centuries (think of that “om” you chant in yoga class). “I learned that outside of conventional medicine – especially [in the field of] neuroscience – there is overlap between traditional therapies and science,” he says of the impetus for developing his spa’s treatments. Claims from wellness practitioners that PEMF can help balance the body are increasing, and medically speaking, the technology has been approved to help heal tissue damage. But for a growing number of people, the primary appeal of the treatment is relaxation, which far outlasts your average massage. In an increasingly frenzied world, vibration therapy might be just the right kind of buzz to calm us down.